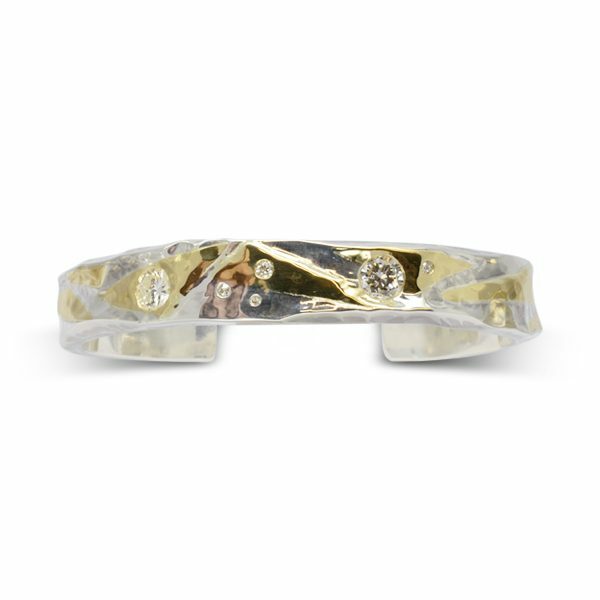 A Gold Diamond Hammered Cuff. A solid silver cuff bangle measuring 9mm x 3mm has had yellow gold pieces hammered into it’s surface. This cuff then had a customers own two half carat diamonds and six smaller diamonds set into the pattern. 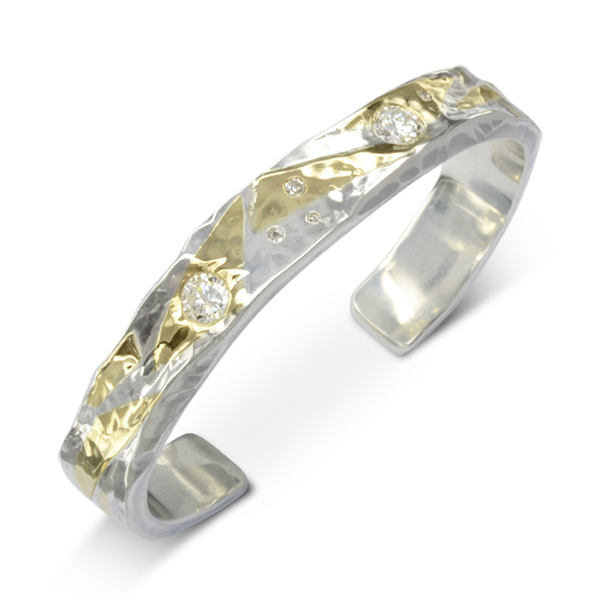 This cuff bangle is priced without diamonds, we can add some for you or bring us your old gold, gemstones and diamonds to regenerate them into this lovely contemporary bangle.